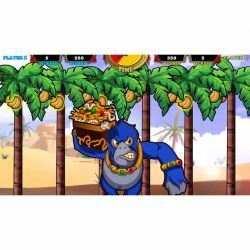 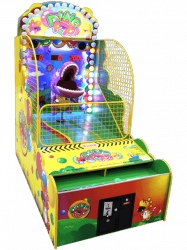 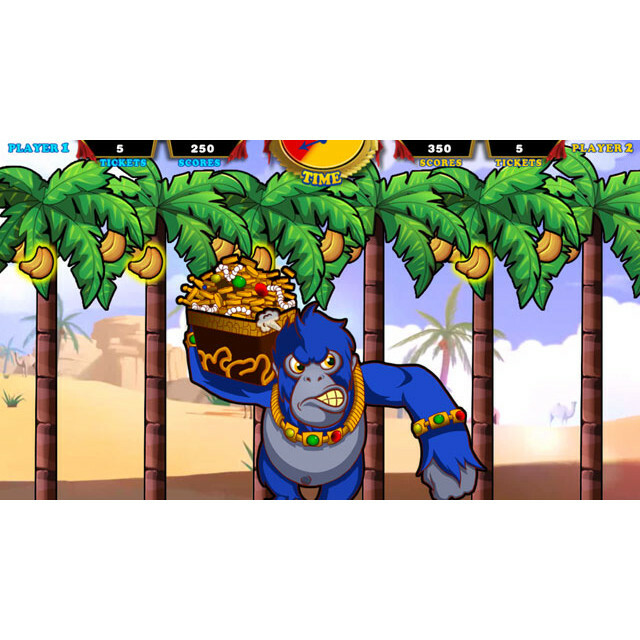 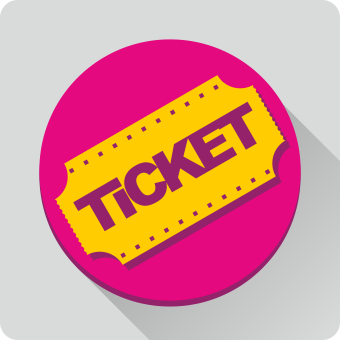 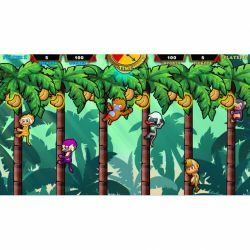 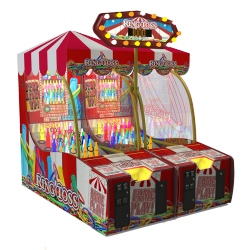 Product specification - Monkey Shakedown Jr.
React quickly, use timing and skill in this smaller version of our fast-moving “whacker” style game as you try to stop the monkeys from stealing the bananas. 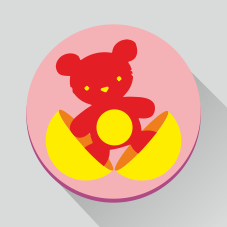 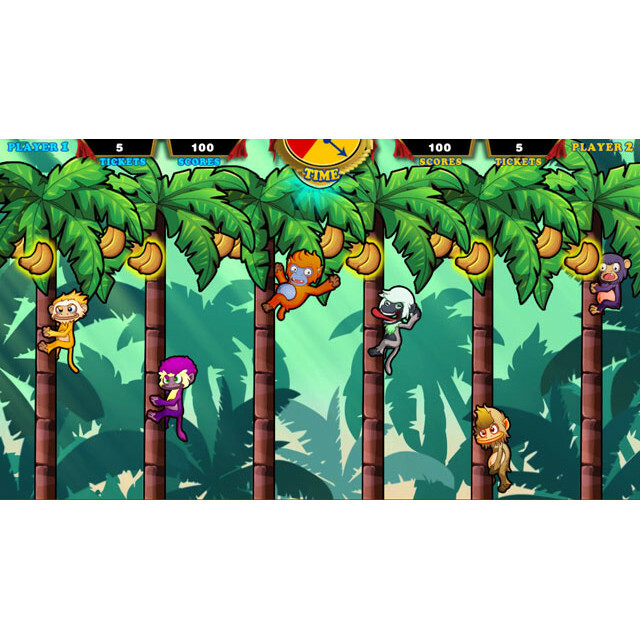 Quickly push the balls to knock the monkeys down over 4 levels before they can reach the top of the tree. 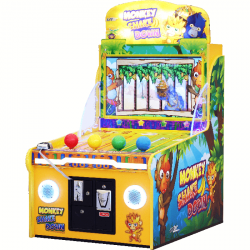 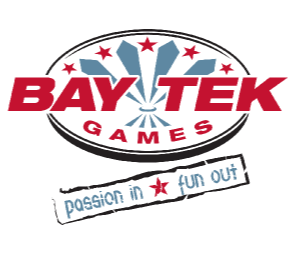 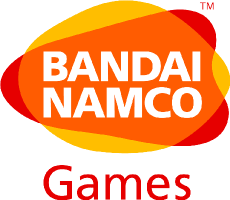 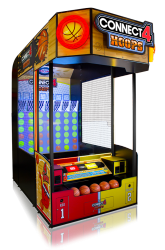 Defeat the Ape King to win the Bonus!